An interesting compilation of images that illustrate the evolution of the visions about the future of cities, mainly in the western world (including Japan, see figure 38 in the document), going from hippies (figure 42) to academics (figure 56), and from art (figure 51) to dismay (figure 39). This is the closest thing I’ve seen to the mountain in “Encounters of the third kind”, and here it would materialize in Berlin. Sure, chances for this to happen are from slim to none, but it is a powerful image. 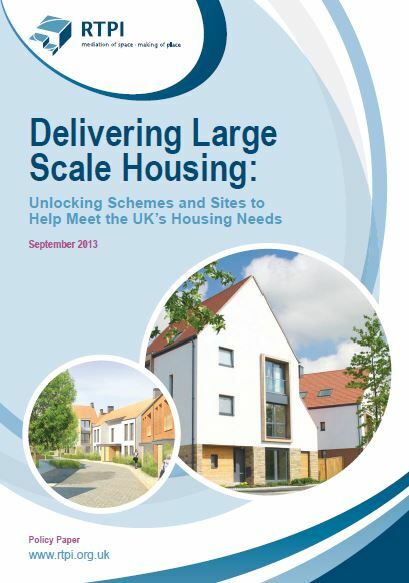 The Royal Town Planning Institute, in Britain, has just published a report on possible measures to unlock the current context and produce a substantial number of housing units to alleviate the current national deficit. According to the report, in England the debate is entrenched between those thinking that the current system is too liberal and allows builders to do almost all they want, opposed to those claiming that nowadays red tape is stopping advances in that field; both seem to agree, nevertheless, in the feeling that the local authorities are not serious enough about the issue and the planning system is at least partly to blame. The document compares the situation in England to that in Scotland and proposes 15 practical recommendations to concerned agents. 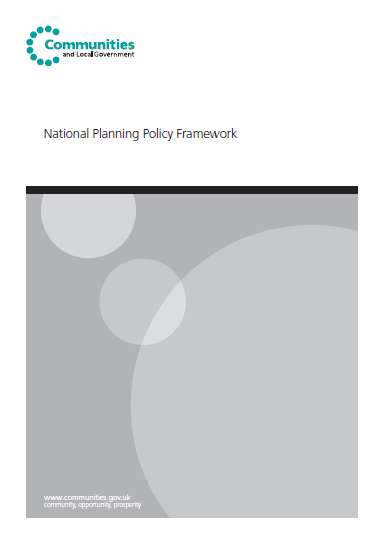 RTPI recommends a combination of piecemeal operations in consolidated urban areas with large scale urban extensions. Among other recommendations, it is curious to see a call for a wider public access to data on land ownership and land options, a bigger role for the authorities in land management that would include compulsory purchase (eminent domain for our American readers…), or the need to manage the sale of unused public land (former rail sites, barracks or hospitals) thinking in global terms rather than just in the amount of cash that can be obtained. Empty Homes UK is a British charity that wants to contribute to the reuse of vacant homes, starting with an appraisal of the data about the issue and the proposal of a right to demand the reuse of real estate assets that are not being used (not through squatting, but following and orderly procedure subject to legal guarantee). The organization estimates there are some 700.000 empty homes in the UK, a vacancy rate around 3% (the analysis of fiscal data can lead to an underestimation of that figure), and 1,7 million families in waiting lists for a decent home. As the home construction rate is quite low now, the renovation of vacant housing units (with an average cost of 10.000 pounds per unit) seems a good way to improve energy efficiency and to tackle climate change. Part Harperbury hospital opened in 1928 converted from a few aircraft hangars, aimed to care for children and adults with learning difficulties and epileptics, and evolved towards mental conditions treatment. The evolution of policies concerning these problems lead from 1973 to a progressive closure of the buildings. Through the years the abandoned buildings were sacked and vandalized. A part of the buildings is still used as a mental care institution by the National Health Service, but the British Department of Health, as a part of a program that covers all the national Departments, has identified the property as for sale. A position near the M-25, the large outer London beltway, the 94 hectares including farmland (the largest NHS land for sale) and an estimated housing units capacity of 225-400 are interesting elements for eventual buyers, with an estimated disposal date in 2013-2014. The future will be urban or will not be… this is what we take for granted usually, despite the tentatives by some to go back to the country…But which is the meaning of an urban future? This enters the field of prospective analysis, quite hype in the 1970s-1980s around the systems theory, but today less visible, altough still extensively used by public and private organisations. Prospective analysis is far from being a forecast, but rather an informed glimpse to the future to try to grasp general ideas as a reflection tool. The UK’s prospective organisation in the government sphere, Foresight, anlayses all sort of issues. 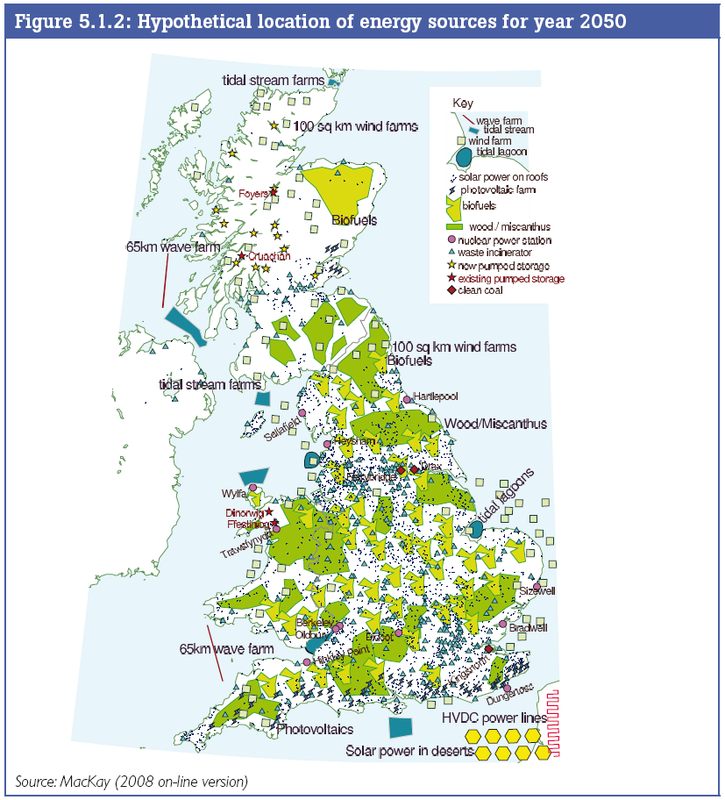 In 2010 it was up to land use futures. The report is well written and interesting, allowing to better know the subject, Great Britain and our own country.